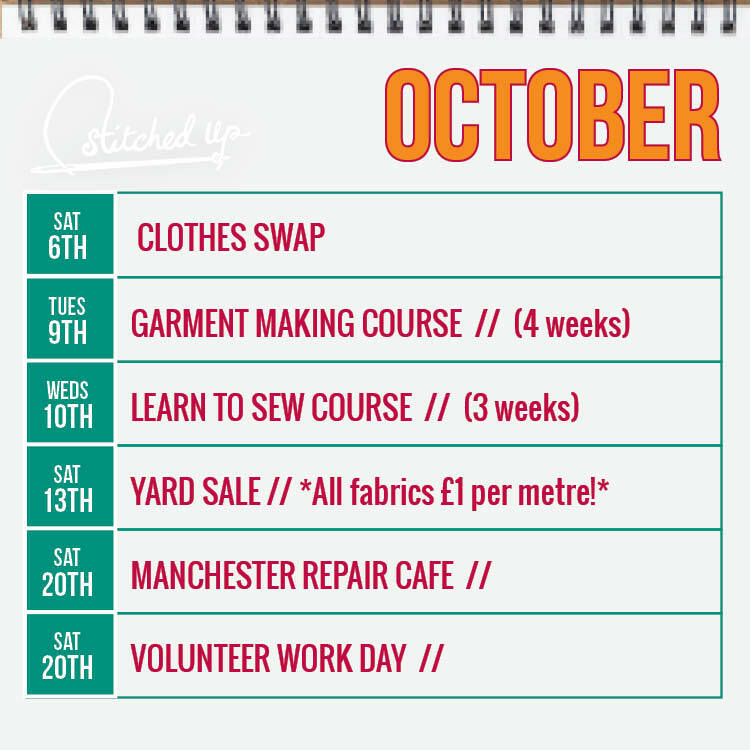 We have loads of great events for you this month, including our massively popular Yard Sale. There’s more on the website too… View available courses for October onwards here. We look forward to welcoming you at Stitched Up HQ soon! DIY // Upcycled T-Shirt Undies!